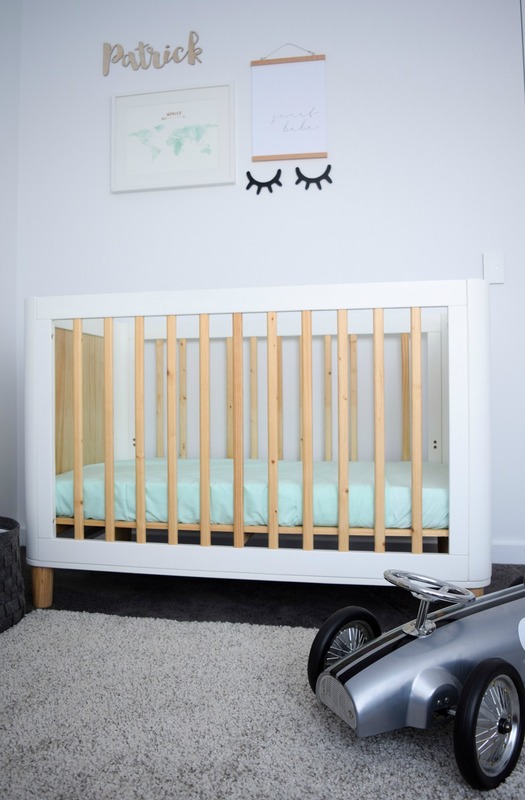 That doesn’t mean you can’t have a bit of fun styling your bub’s cot when they aren’t in it though! 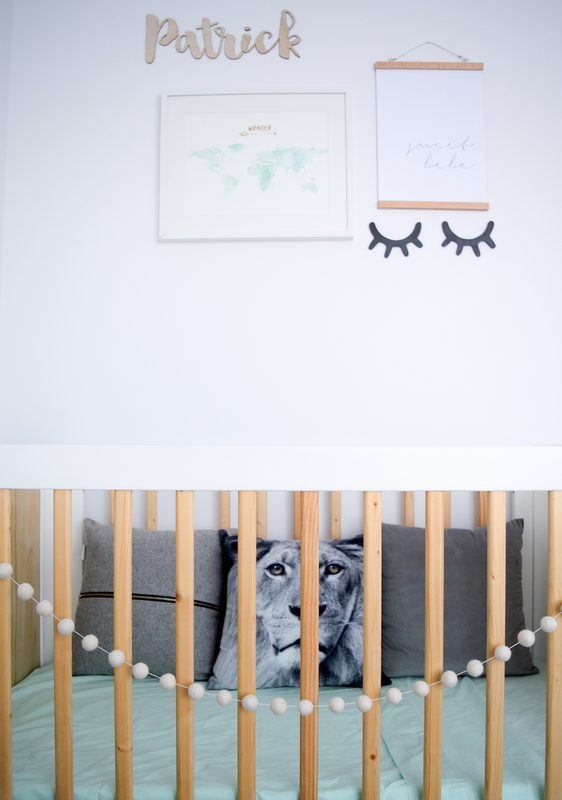 Because I know there are other mamas out there as crazy as me who want their baby’s cot to look as stylish as the rest of their nursery in between sleeps, and because there is zero information on how to style your cot on the internet (or none that I could find), I’m sharing my ideas on how to style your baby’s cot! Crisp white fitted sheets are always a favourite and create a blank canvas to begin layering your other bedding. Or for something a bit more fun, consider injecting a hint of colour like this mint set I got from Lorraine Lea. 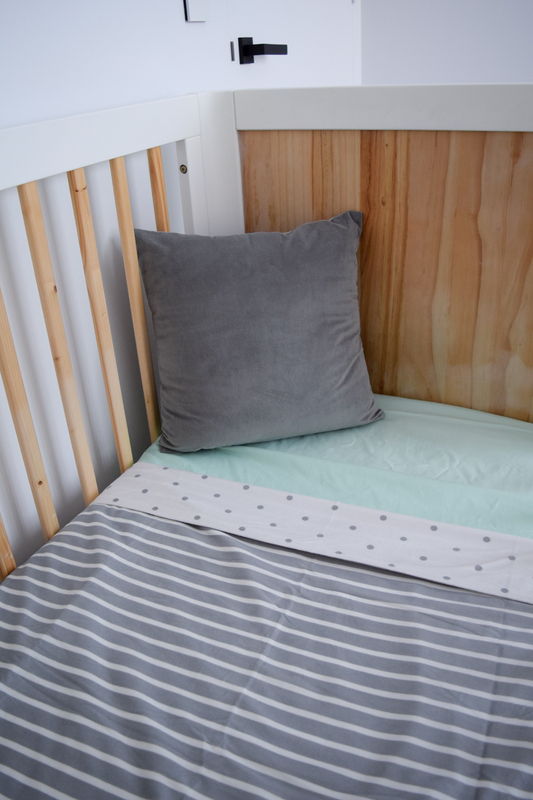 Just like adult beds, cots look great when there are loads of layers. 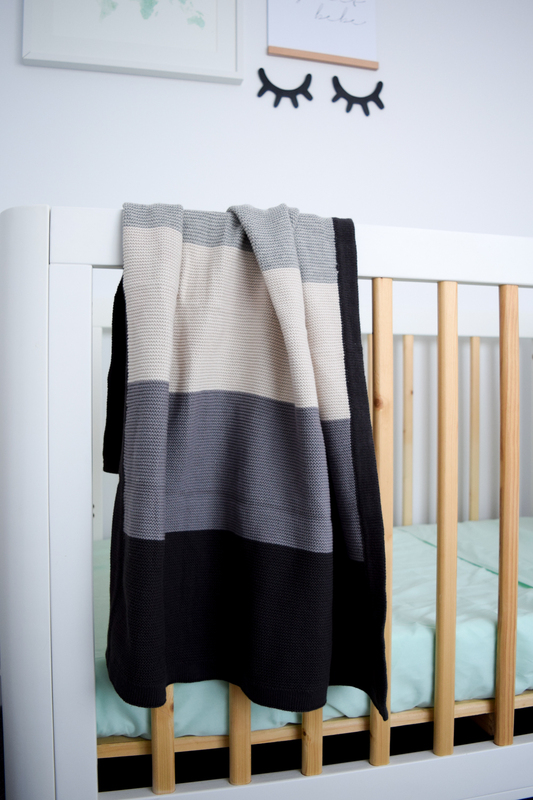 You can find some stunning reversible blankets now which really suit this tip of tucking the blanket and turning down the top edge or just one corner – it reveals the underside design and makes the cot look so inviting. 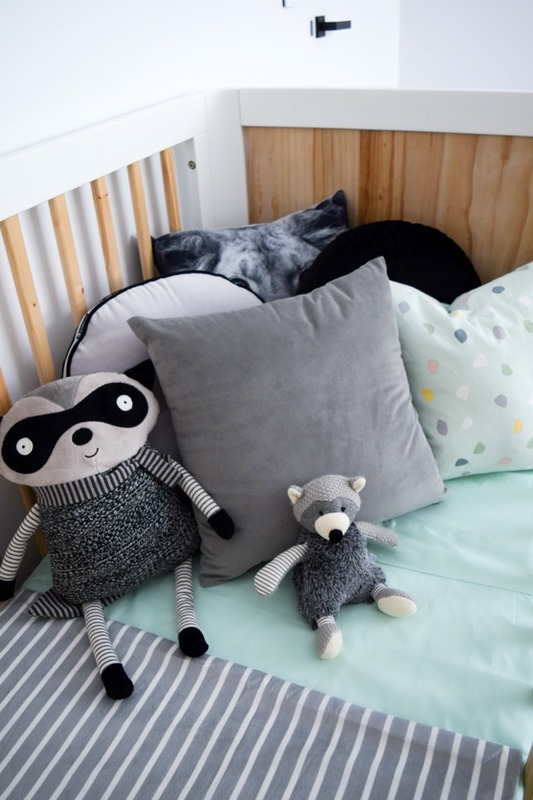 Rather than styling the cot with toys, consider stacking 3 cushions along the length. This looks great with standard-sized cushions, like these lion cushions (set of 2) from Lorraine Lea. I found having large cushions like these really practical for the times when I needed to use two hands and my bub was strong enough to sit with a pillow propped behind him. 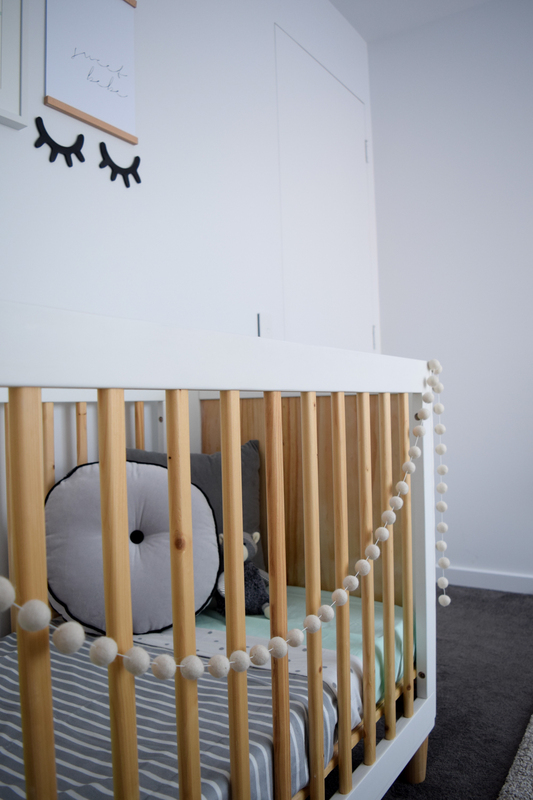 As the heading suggests, simply draping a blanket over the front or end of the cot, brings more colour, pattern and texture to your cot styling. You could even look at layering a few pieces here like a stylish baby blanket over a sheepskin, or a light-weight blanket over a heavier-weight blanket. An alternative to the three cushion stack is to create a sweet arrangement in one corner. A large standard cushion, smaller shaped cushion (such as a roundie, knot or cloud cushion) and a toy in front is an easy recipe to follow. And finally, for those of you who take the more is more approach, I’m demonstrating the mega cushion and toy stack! 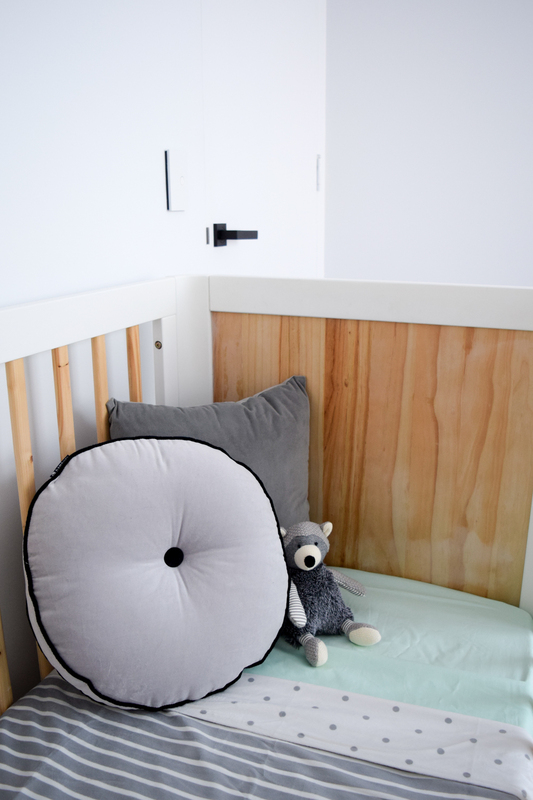 How else do you like to style your baby’s cot? If you enjoyed this post, tell us in the comments below! Most of the bedding pieces pictured as well as the raccoon toy are from Lorraine Lea. You can browse their range of quality, on-trend baby products here. Previous articleStylish fencing you can do yourself – it is possible with ModularWalls!